“New Girl” actor Lamorne Morris has a very good reason for movie lovers to turn out for his new comedy “Game Night” this weekend. Morris also hinted that the off-camera high jinks of the cast — which includes Jason Bateman, Rachel McAdams and Michael C. Hall — was almost as wild as what appeared on screen. “Game Night,” directed by Jonathan Goldstein and John Francis Daley (“Vacation”), follows a group of couples who gather for their regularly planned game night when something goes horribly wrong. Mark Perez wrote the script. 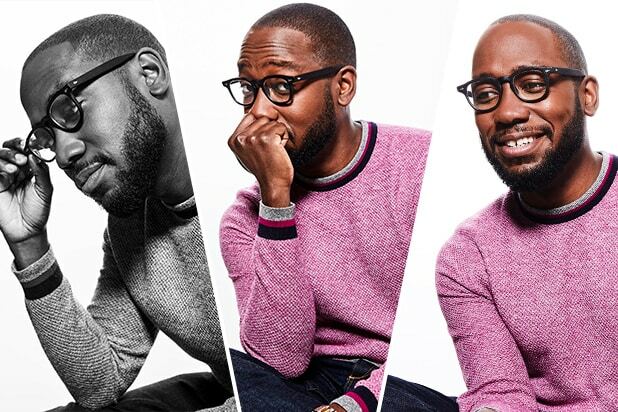 Actor Lamorne Morris, "Game Night"